Joe focuses his practice on the litigation of labor and employment matters and commercial disputes. 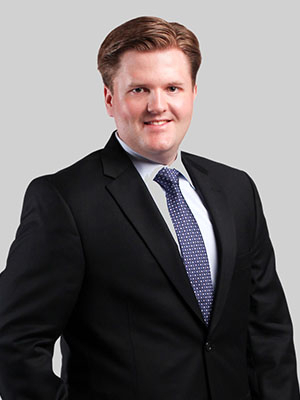 He has extensive experience in wage-and-hour actions, as well as wrongful termination litigation and contract disputes. He regularly handles matters in the Pennsylvania state courts and in federal courts throughout Pennsylvania, New Jersey, and the Midwest. Joe is also a member of Fox’s Cannabis Law Practice Group. He frequently writes and speaks about developments in the cannabis sector, and tracks legal issues in this highly regulated industry in Pennsylvania and nationwide. He is a member of the Pennsylvania Bar Association’s Medical Marijuana and Hemp Law Committee, where he leads the Employment Law Subcommittee. Wage-and-hour and class action litigation matters for a major satellite television service provider and one of its largest subcontractors. In this capacity, Joe has conducted more than 40 depositions and regularly participates in drafting discovery and dispositive motions. Fraud and breach of contract claims against a construction contractor. Helped secure the voluntary withdrawal of all claims. Defended a senior living community in a wrongful eviction action by a former resident. Prior to joining Fox, Joe was an attorney for a Pennsylvania-based law firm where he handled insurance defense matters. During law school, Joe was a legal intern to the Honorable Thomas J. Rueter of the U.S. District Court for the Eastern District of Pennsylvania. He also worked as a law clerk for a Delaware Valley-based law firm and a legal intern in the Civil Division of the U.S. Attorney’s Office for the Eastern District of Pennsylvania. Joe was also a Notes and Comments Editor of the Temple Journal of Science, Technology & Environmental Law. He also served as the Temple Law Student Liaison to the Philadelphia Bar Association Young Lawyers Division and as a coach of St. Joseph’s Preparatory School Mock Trial Team. While in college, Joe studied abroad at the Universitat Pompeu Fabra in Barcelona, Spain. Joe is Secretary of the Young Lawyers Section of the Montgomery Bar Association and previously served as Treasurer and Community Outreach Liaison. He also serves as the Assistant Editor of the Montgomery County Law Reporter.